What's More Unsettling than a Giant Vampire Head? Just think - you hear the door bell ring. You grab your bucket of candy, excited to open the door and see all the cute costumes the kids are wearing this year. Finally, once you open the door you see this! 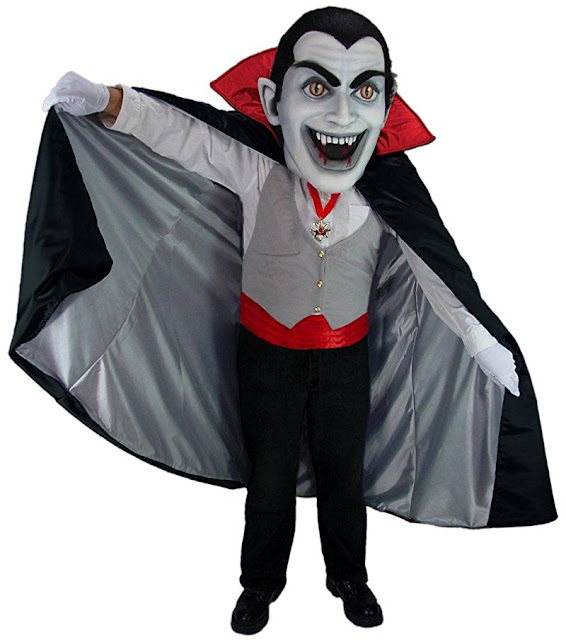 A giant vampire mascot head is suddenly in your face. He has frightening eyes leering right into your soul! That grin is basically a sign of blood thirst. I really hope none of the kids show up at my front door wearing this. Don't you think this is a bit terrifying? Are there any other crazy giant mascot heads that are scarier than this? Tell me about it down below!